Emboldened students journeyed to nearby Ethical Culture Fieldston School (ECFS) on Monday morning to stand in solidarity with the ECFS student body in silent protest following the release of a racially charged video. After the ECFS students staged a 72 hour sit-in, the ECFS administration agreed to all 20 of the protesters’ demands. The video, which was filmed four years ago, shows current ECFS seniors chanting homophobic and racial slurs while calling out students of color by name. This incident was the second racially charged video to circulate this year from a New York City independent school, following the release of a video of students in blackface at the Poly Prep school back in January. 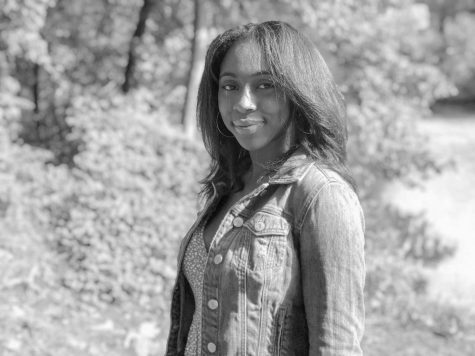 In response to the video, the ECFS administration announced that one of the students had withdrawn from the school, but failed to release further information regarding disciplinary actions for the other students involved, prompting students from the Students of Color Matter group and the Hilltop Diversity Coalition (HDC) to demand a further disciplinary response. “We will no longer allow our institution to perpetuate the suppressive behavior that negates the validity in the experiences and trauma of students of color,” a statement released by the Students of Color Matter group at ECFS on Monday said. The group published a series of twenty demands, insisting ECFS immediately respond to four and strive towards the other sixteen as long term goals. While security guards barred Record reporters from entering the ECFS campus to speak with students and prevented them from taking photos, students associated with Students of Color Matter organization were able to attend the protest to show their support. For Taussia Boadi (11), the decision to miss class and attend the protest was a personal one, she said. “The person attacked in the video is a close friend of mine, and I needed to be there to stand in solidarity with them and make sure they were okay,” Boadi said. Also in attendance was Charles Simmons (11), who felt that seeing the united front at ECFS made him feel stronger about the school’s own commitment to inclusivity and hopeful for hilltop community as a whole, he said. Dakota Stennett-Nerris (12), the founder of the HDC, first learned of the protests from fellow HDC representatives on Sunday night. She believes it is time for schools claiming to promote inclusivity to be held accountable, she said. “This protest sends a really powerful message to our school and other schools that have had instances that, yes, you can organize, yes, you can gain support, and yes, change is possible,” Yasmin McLamb (12) who attended the protest on Tuesday afternoon, said. Halle Friedman (ECFS 11) and the majority of the student body first learned of the protest from flyers about the Students of Colors Matter group’s demands and the schedule for the day of protest after getting off their school buses on Monday morning, she said. According to Simmons, students arrived on campus as early as five in the morning to prevent teachers from entering their offices in the administrative building, barricading the doors with furniture and their linked bodies, he said. Students elsewhere on campus lined the hallways, silently refusing to attend class, Simmons said. Simmons, Boadi, and Stennett-Nerris went as allies to the ECFS students and talked with teachers and faculty members about the situation, but felt as though they couldn’t “sit-in” themselves, Boadi said. “It was powerful just to be there and witness how extremely diverse the turnout was and see people from all ends of spectrum participating,” Boadi said. At least 75% of the students on campus participated in the event, Grant Miller (ECFS 11) said. Younger students from ECFS middle school also participated in the sit-in to show their support and the lower school students have been sending cards, Dillon Sheekey (ECFS 10) said. Students involved in the sit-in came prepared to spend the night if their demands weren’t met by the administration, bringing sleeping bags, changes of clothes, and food, Simmons said. Alex Markstien (ECFS 11) believes the protest could be the first step to bringing long term change to the culture of ECFS and the broader independent school community, he said. “It is not just about the recent videos that surfaced. It is about the persistent idea of racism at our schools, and the demands made by the movement leaders could really help the community unite again,” Markstein said. The second day of protest was filled with optimism as students made posters with positive messages to hang along the school hallways and participated in workshops, Lillian Sen (ECFS 9) said. Many faculty members also showed their support for the students by taking part in these discussions, Freidman said. The protest continued into Wednesday after “the administration failed to adequately address the first four demands,” according to the Students of Color Matter Instagram page. On Wednesday afternoon, after agreeing to the first four demands, the ECFS administration began talks with the ECFS students with the help of state assemblyman Keith Wright, who served as a mediator to the discussion, David Porges (ECFS 10) said. After almost seven hours of meeting and over 3000 signatures on their online petition, the ECFS administration was able to met the protesters’ demands in full, agreeing on a formal plan to proceed on Wednesday night. For Willa Ferrer (ECFS 12), one of the students involved in organizing the protest, leaving the administrative building for the first time since Monday and seeing the faces of students who will be directly impacted by the principles the movement fought for was the most powerful thing that happened so far, she said. “This was one of the most challenging things I’ve done mentally, physically, and emotionally, but in the end it was so worth it,” Ferrer said. 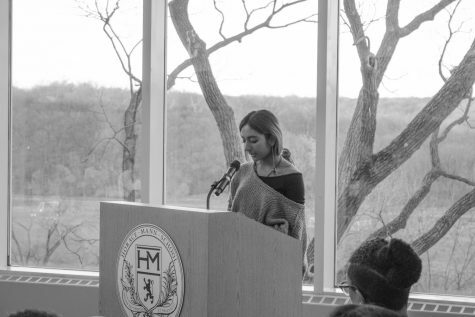 This week’s events have prompted further discussion within the school community about racism and how the school’s policies address similar issues. 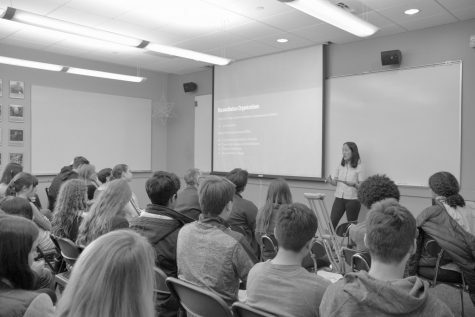 Yesterday, Head of School Dr. Tom Kelly and Head of the Upper Division Jessica Levenstein held an I Period forum to discuss how race affects members of the community’s daily experiences and the school’s own commitment to fostering a safe environment for all. The forum was filled to capacity with students, faculty, and staff from all departments lining the walls of the Faculty Dining Room. “In these moments we listen, we respond, and we teach,” said Kelly. “A huge effort is underway to retool how we approach this work,” he said. The school has hired a new staff member whose job will be solely dedicated to incorporating diversity in the Lower and Nursery Division curriculums, including a mandatory course entitled Seminar on Identity (SOI) for the sixth grade in addition to the already existing eleventh grade SOI requirement.